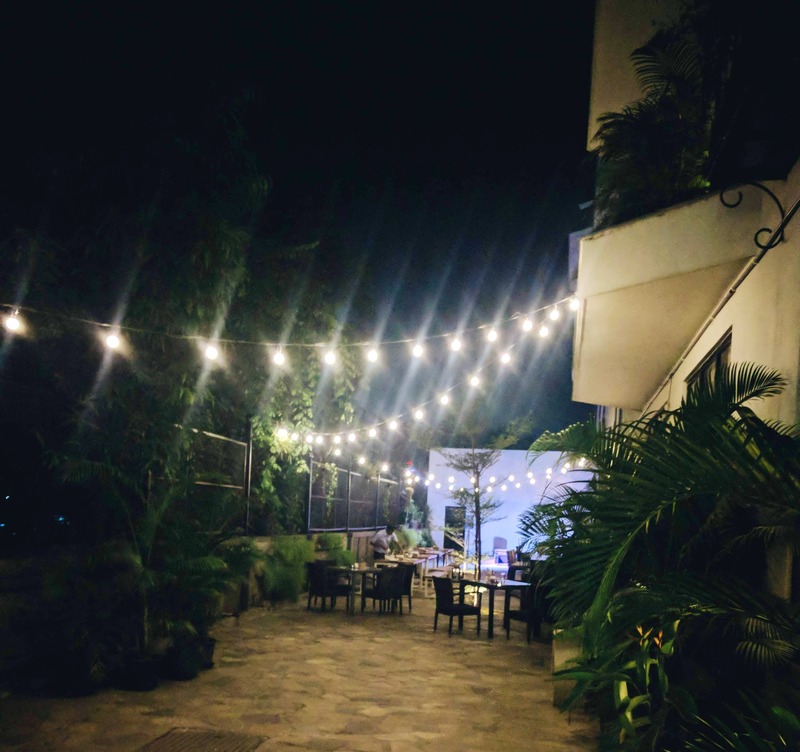 Fairy lights in the backyard, delicious finger food, and a good music scene are just a few things that define Patio by Ciclo. A new bar by Ciclo, Patio opens at 6pm, and has an entirely different menu from Ciclo and at prices that don't pinch your pocket. Perfect for grabbing drinks and starters, you can get skewers or Naanza (a naan-based pizza) by skewer or a slice. We got ourselves Achaari Mushroom (highly recommended), Tandoori Paneer Tikka, Assorted Veg Shashlik at INR 75 each, and drank our Old Fashion and Saketini (both INR 299) with BBQ Cajun Chicken (INR 95). We polished them to bits and quickly moved on to Naanzas - Chicken Kheema & Spinach, Ciclo In-house, and Tandoori Paneer. The chicken Kheema Naanza and Ciclo In-house are two dishes that will take us back to the Patio. Spicy, saucy, and tangy - what more can you ask for your drink accompaniments? Onto the mains - Penne Mamarosa, and Piri Piri Cottage Cheese with Herb Rice. The homemade Piri Piri sauce complemented the rice and if you are looking for a meaty version of this, go for Roast Leg of Lamb. Whatever your choice is, get to Patio for chill scenes. Do call in advance to check out the live music scene. The pasta was a little undercooked, and we found the drinks too diluted. Less ice, more whiskey, perhaps?